Burger Records and the local booking outfit Total Trash are committed to idealized memories of rock 'n roll past, where benevolent gangs scrapped outside the sock-hop and teen malcontents shook out deviant impulses on stage before an audience of their peers. At the Burger Boogaloo, a jointly hosted festival now held for the third year in Oakland's Mosswood Park, Total Trash and Burger Records demonstrate once again not only their taste in nostalgic contemporary acts, but their taste in yesteryear's nostalgic acts. 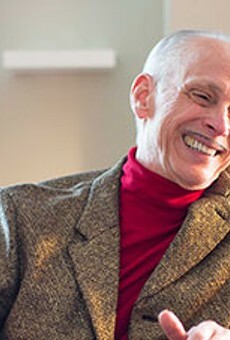 Hosting is John Waters, aptly billed as the "legendary father of filth." The filmmaker behind family classics such as Pink Flamingos and several other auteur landmarks featuring the indelible queen Divine will preside over a line-up topped by The Mummies. The crucial Bay Area rave-up garage act's charming corpses have had incalculable influence upon regional garage rock nouveau in recent years. The Gories, from Detroit, have also been exhumed, and they're sure to reclaim the blues-inflected throwback garage legacy nowadays tarnished by certain stadium duos. The Black Lips, Southern outfit with a storied live show, and King Khan & the BBQ Show, an especially rousing act from Berlin, are among notable performers announced this first far. Occurring on Fourth of July weekend, the 2015 Burger Boogaloo will include more performers, vendors, and gimmicks to get the kids to dance. We'll update when ticketing details emerge. 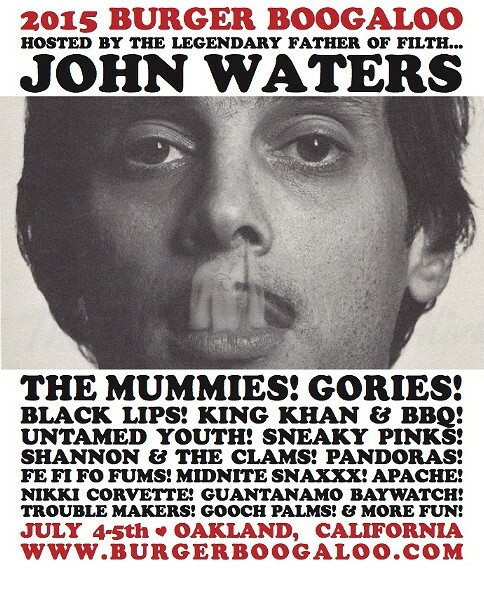 Meanwhile, here's what we had to report about last year's headliner, Ronnie Spector, and do watch John Waters below urging theater-goers to smoke inside in spite of the law.